Want to be notified of new releases in gloveboxes/Arduino-ESP8266-Secure-Http-Azure-IoT-Hub-Client-V2? Solution This solution securely streams sensor data directly to Azure IoT Hub over HTTPS calling Azure REST APIs from an ESP8266 MCU. 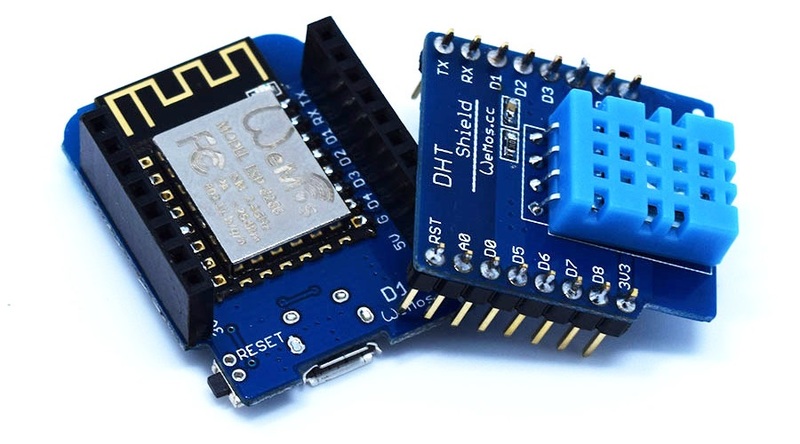 Arduino core for ESP8266 WiFi chip V2.3.0 firmware adds HTTPS (TLS 1.0 and 1.1) support, making this a viable platform for secure IoT data streaming. See Security Discussion for more information. This sample verifies your IoT Hub Server Certificate to mitigate against Man in the Middle Attacks. IoT Hub is designed to "Securely connect, monitor, and control millions of IoT assets" and is designed for internet scale data ingestion. Stream Analytics, Power Bi and preconfigured IoT Hub solutions such as Remote monitoring provide ways to visualise and unlock the value of your data in Azure. For more background information read this "Stream Analytics & Power BI: A real-time analytics dashboard for streaming data" article. Setup your Azure IoT Hub. There is a free 8000 message a day subscription to get started. Register your device with Azure IoT Hub. Deploy the solution to your ESP8266 based device. Optionally: Visualise your data in real time with Azure Stream Analytics and Power BI. Follow lab Setting Up Azure IoT to provision an Azure IoT Hub and an IoT Hub device. #define WIFI_SSID "[Your WiFi SSID]"
#define WIFI_PWD "[Your WiFi Password]"
#define DEVICE_LOCATION "[Your device location - eg Garage]"
#define IOTHUB_CONNECTION_STRING "[Your IoT Hub/Central Connection String eg HostName=saas-iothub-897898-f33a-4002-a44a-7ca5961b00b6.azure-devices.net;DeviceId=wemos-garage;SharedAccessKey=uRsr78d56s87878dd89d675g88H8+nRoiVgc3+epqlMHHg="
The sample includes the following sensors in the main project: Fake Sensor, BME280, and the Sht30. The default sensor returns fake temperature, humidity, pressure and light telemetry. To switch to a real sensor comment out the Sensor sensor line and uncomment one of real sensors. There are additional drivers in the drivers directory: BMP180, BMP280, DHT11, DHT22, LDR, OLED. From Device Explorer, head to the Data tab, select your device, enable consumer group then click Monitor. Azure Stream Analytics enables you to gain real-time insights in to your device, sensor, infrastructure, and application data. See the Visualizing IoT Data lab. Replace the query in that lab with the following and be sure to change the time zone to your local time zone offset. Australia (AEDST) is currently +11 hours. Microsoft Power BI makes it easy to visualise, organize and better understand your data. Follow the notes in the See the Visualizing IoT Data lab and modify the real time report as per this image. View on the web or with the Power BI apps available on iOS, Android and Windows. 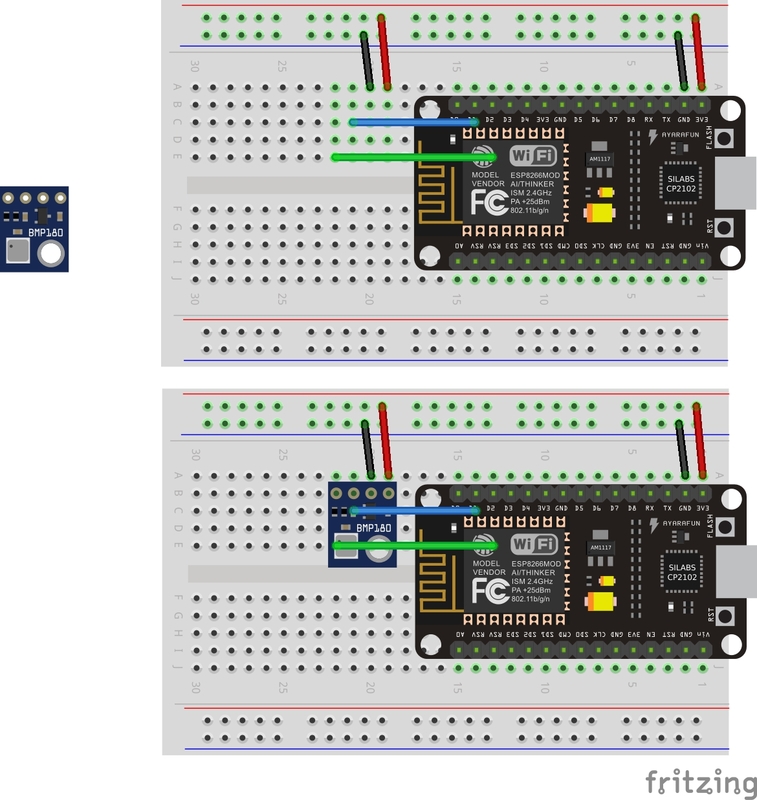 There are a number of ESP8266 based development boards available so be sure to check out this great article "Comparison of ESP8266 NodeMCU development boards". No wiring required, just solder the supplied header pins for the WeMos and the DHT Sensor shield. DHT Shield or the DHT Pro Shield. NodeMCU - On Windows, Mac and Linux you will need to install the latest CP210x USB to UART Bridge VCP Drivers. 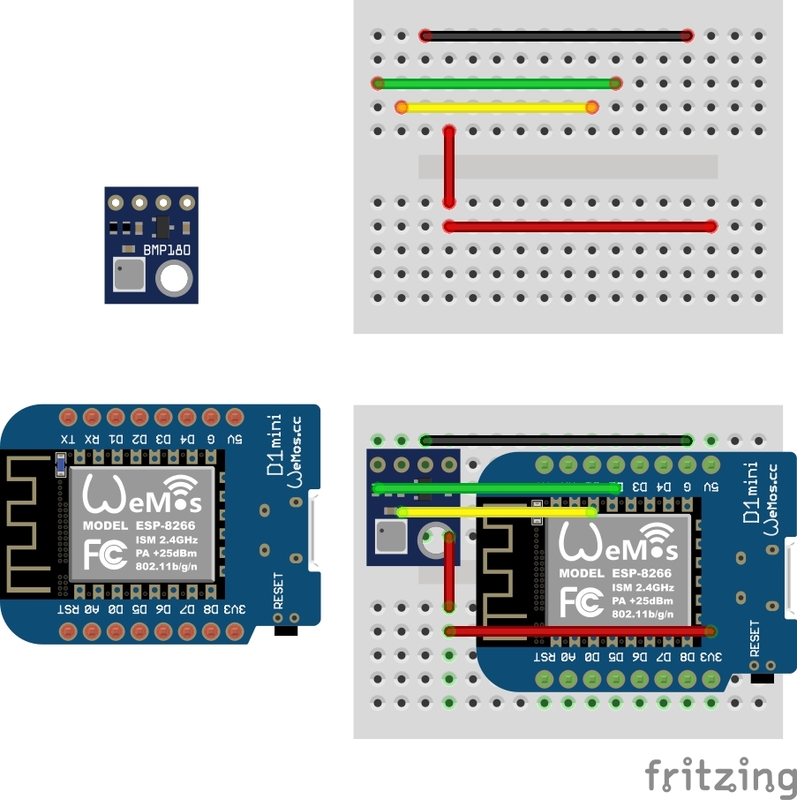 WeMos - On Windows and Mac install the latest Ch340G drivers. No drivers required for Linux. ESP8266 Board Manager 2.3.0 for HTTPS/TLS Secure Client support. Arduino version 1.6.4 and above allows installation of third-party platform packages using Boards Manager. Install Arduino 1.8.7 from the Arduino website. Set Port and Upload Speed: Tools. Note, you may need to try different port speeds to successfully flash the device. Faster is better as each time you upload the code to your device you are re-flashing the complete ROM not just your code. Be sure to read the ESP8266 Arduino Core Documentation - there are some minor gotchas.